Create variable rate population maps in the field! 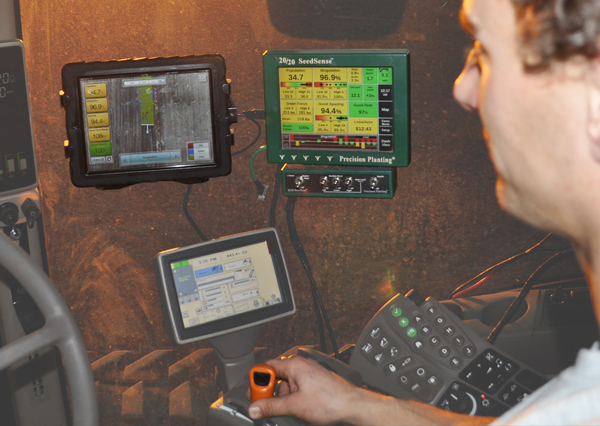 FieldView Base Kits consist of a FieldView Module, Display Harness, RAM Tough Tray, and a rouged Case (for an iPad2), Tractor Mount Bracket and Hardware Kit. But it's what you can do with the iPad2 FieldView integration that's amazing. View in real time maps of, seed singulation, downforce, ground contact, population, good ride, and even loss per acre. In addition, with the AutoMap feature and the capability of utilizing wireless internet, you can download soil profile maps and create variable rate control maps while in the field, all in a matter of minutes.